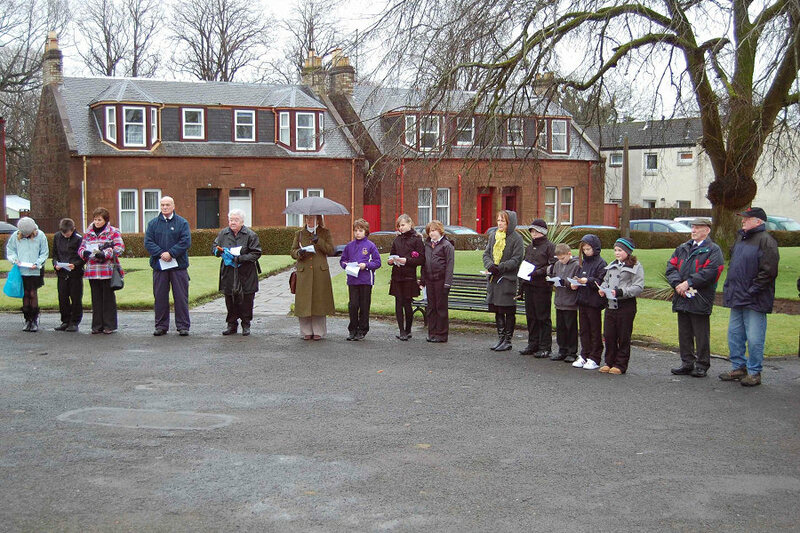 A special service led by Fr Stephen McGrattan was held at the Greenside, Maybole on January 27, to mark Holocaust Memorial Day. Click on the photos to view them full size or photos from observances in 2009, 2008, 2007, 2006 or 2005. Holocaust Memorial Day is the international day of remembrance for the victims of the Holocaust and of other genocides and is marked each year on January 27, the anniversary of the date of the liberation of Nazi death camp Auschwitz-Birkenau. 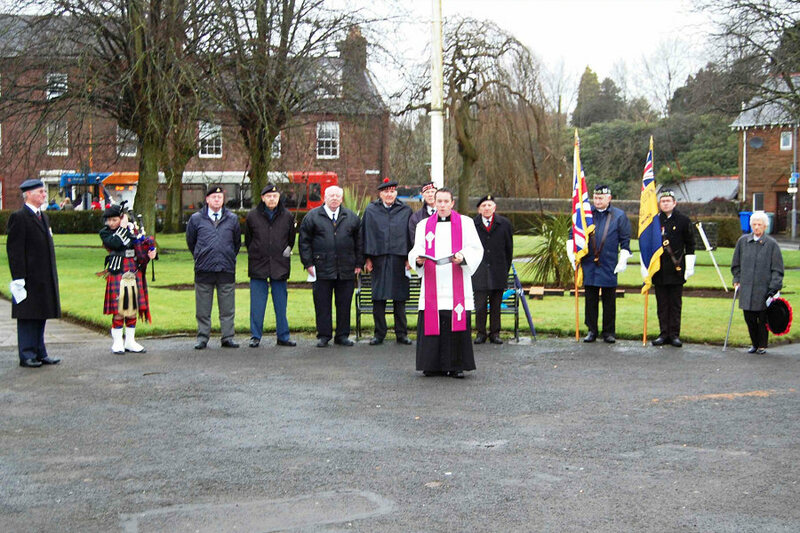 Last Wednesday, January 27, marked the 65th anniversary of the liberation of the camps and, as in previous years, Maybole Branch of the Royal British Legion Scotland organised a special service at the Greenside at 11am. This was led by Fr Stephen McGrattan, branch chaplain, and marshalled by Alex Davidson. 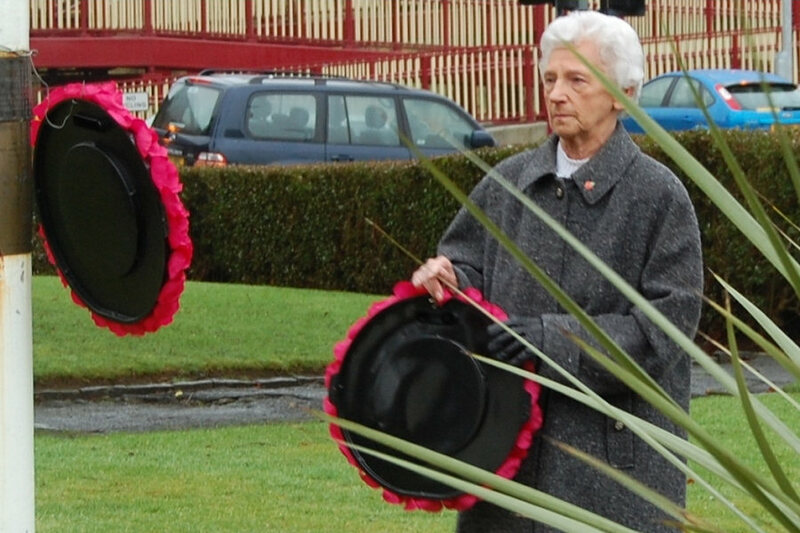 Piper Scott Barrie played the lament and George Taylor and Janetta Rodger laid wreaths on behalf of the Legion. Standard bearers were Alex Mills and Mark McEwan. 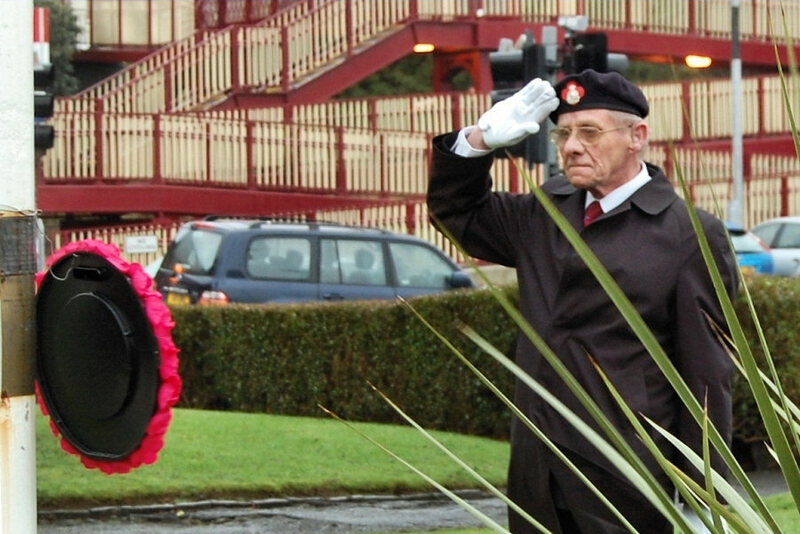 Poppy crosses were laid by members of the Legion, pupils from all local schools and members of the public. Fr McGrattan said, “On this day, the Holocaust Memorial Day Trust is challenging everyone across the UK to become part of a ‘Legacy of Hope’. “Today we pause to reflect on what can happen when racism, prejudice and exclusionary behaviour are left unchecked. We remember the victims and honour the survivors of state sponsored hatred in Nazi-occupied Europe, in Cambodia, Rwanda, Bosnia and Darfur. “During this short service of remembrance, we take the time to see how the lessons of the past can play a part in our communities today. We also pledge to make a stand – that the atrocities of the past should not happen again and we renew our commitment to tackle hatred and exclusion head on in order to create a safer, better future for us all.